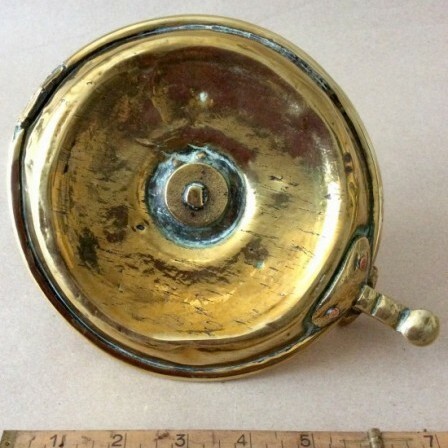 Description: Georgian brass chamberstick. 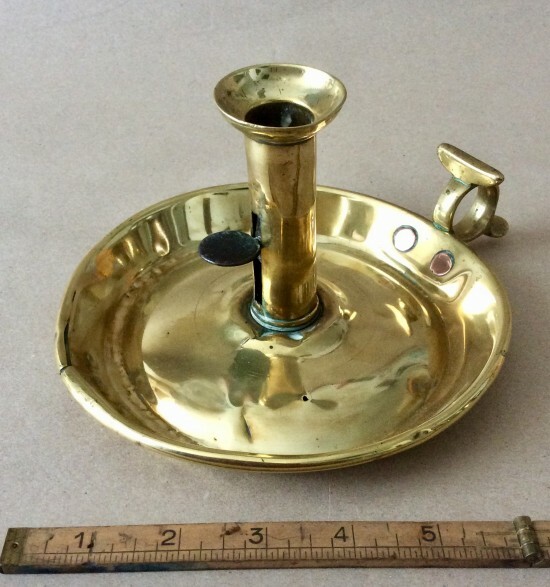 Adjustable candle slide with wrought disc slider. Splayed cup sconce and unusual handle with thumb grip. This is an identical smaller version of one previously sold AWM051702. 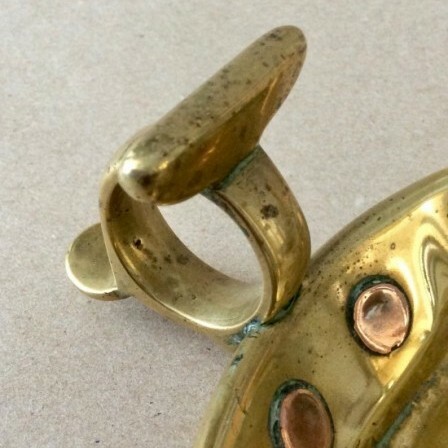 This has similar brass rivet to indented base. Also see Caspall ‘Fire and Light’- figure 302 page 140. There is a small tear to base near centre rivet and pin hole at 2/3rds diam. 10 o clock to handle. Split in brass at rim 12 o clock. This is age related wear. Dimensions: Max width 20.7cm, Height 10.5cm, Diam of tray 16.5cm.